This CG182SF is made with Cypress sides and back with scratch plates to make authentic Flamenco sounds and style-of-play possible. Characteristics such as lower action, great playability, quick response and attack will appeal to Flamenco specialists but also players of a variety of music styles, such as pop or rock. The CG182SF also features a solid Engelmann Spruce top. This model is a successor model of CG171SF made of Cypress laminate side/back and scratch plates to make authentic Flamenco sound and style of play possible. 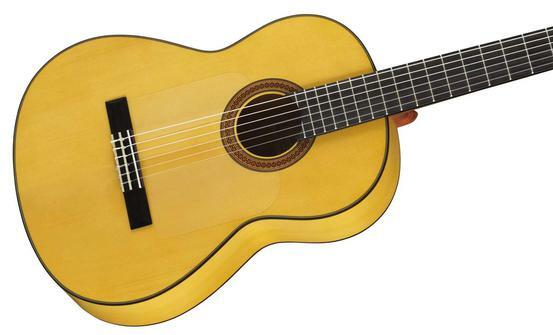 This authentic Flamenco guitar certainly satisfies needs of Flamenco players; moreover, its characteristics, such as lower action, great playability, quick response and attack, will definitely appeal to non-Flamenco style players like pop/rock guitarists.